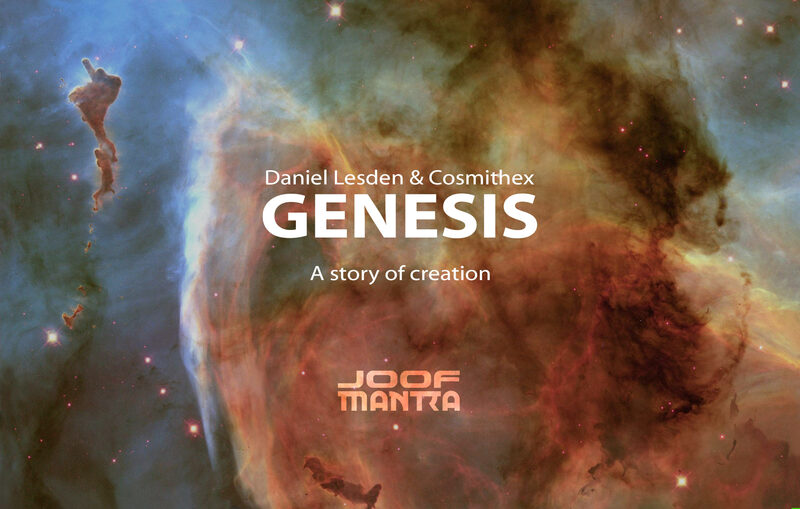 A couple of months ago I promised that I would tell you a story behind the creation of “Genesis”, a result of my collaboration with Cosmithex released on JOOF Recordings. I’m about to share some really, really rough drafts and show how the track progressed from point “A” where it all started to the point “B” — the version of the track you all know as the final one. You’ve been warned! This is something that most other producers never do, but as I listeners myself I was always curious how things were going behind the scenes, so this is my present for you. I’ve instantly become a huge fan of Cosmithex when I heard his music for the first time. That was a track titled “Projection” from his upcoming album by that time, thanks to John 00 Fleming’s radio show as he always supports new talents. And I told myself that someday I wish to make a remix or to collaborate with this guy because his music was like a fresh air to me. I had an album released a few months ago, so I’ve got some confidence in myself. I sent a message to Cosmithex asking if he’d interested in remixing or collaboration, and suddenly he said “yes”. This one sounds really far from the “Genesis” you know but bear with me. In fact, this very first sketch has few elements that went into the final production: 133 BPM tempo, C#m key, the pad sound, percussion which you can hear at 0:43, and the melody at the end. And obviously it was a super rough draft just to demonstrate the idea, don’t take a look at the arrangement and sound design as I know it’s terrible. 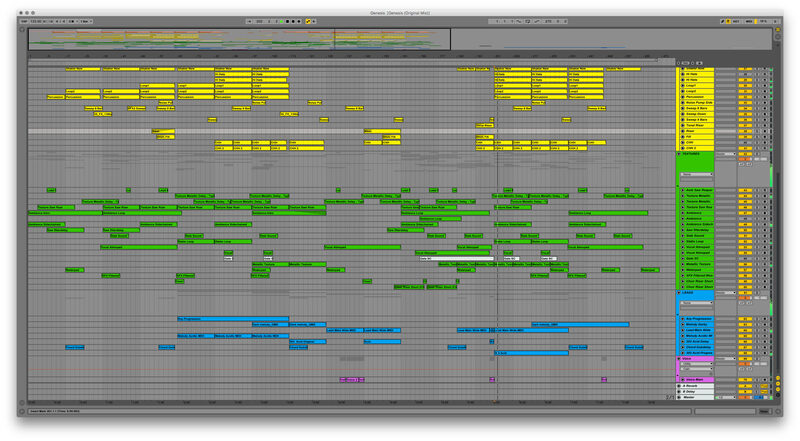 Also, as you can hear that track quite different from my usual sound, and that’s what I call “out of comfort zone”. I was always wondering how people collaborates technically when they are a thousand kilometers away, and even using different programs (DAWs)? It turned out you can easily set up a shared Dropbox folder and send WAV files to each other. So basically you just rendering all layers as separate files, and it doesn’t matter which plugins or DAW both musicians use because it sounds the same. And it worked for us pretty well. Dark and tripy, we both certainly liked this one. We found upper bassline really likable but decided to get rid of these strings. In the meantime, we render out and share with each other more layers to experiment with the kick drum, the stabs, and other sounds. Oh yes, it happens. Almost 4 months passed quickly with a routine as we both had full-time jobs, so almost forgot about the track. Luckily, our enthusiasm hasn’t gone yet. New Year is a tough period for getting things done as everyone is quite busy. Also at that time I’ve moved to a new flat and had to build-up a new studio space, which again took me away from the production. I guess I’m a tough person to collaborate with, because if I don’t like something, I say it straight as it is. And I’m very thankful to Tanel that he didn’t give up. Changing the environment and new studio allowed me to hear the track differently, so, in the end, I’ve decided to mixdown all layers by myself as we both felt that the project needs some fresh air. Finally, this version made us totally enjoyed the result. Hurray! This is it? Not quite yet, because few more things were still left: get the mastering done, sign it on the label, get remixes done, and then finally release it (hint: it’s been released in August 2015). As you can see it was quite a long journey, so when I posted a video teaser, my excitement was totally real. Whether you are under pressure of routine, or thing just doesn’t go the way you want, you always have a choice. A choice to give up, or to pull yourself together and finish what you’ve started. Never agree on “okay” result, always aim for the best. I’m really glad both Tanel and I didn’t said “sounds okay, we’re done”. It was quite a tough project, but eventually, we’ve got an excellent track that reached out top charts position and huge feedback from the audience. Set yourself a deadline, it’s a must. Without specific time frame you risk to stretch out a project for too long, as the result, we have nearly abandoned the project! “Genesis” has been at #9 spot on the Beatport Top-100 chart and been massively supported by the artists like Jordan Suckley, Christopher Lawrence, Alex Di Stefano, John 00 Fleming and Mark Sherry just to name a few, not mentioning huge fans support for what I am immensely grateful. This blog has been written with consent from Tanel aka Cosmithex. Genesis was one of my favourite tracks of 2015. Glad to see a behind the scenes look at how it took shape. 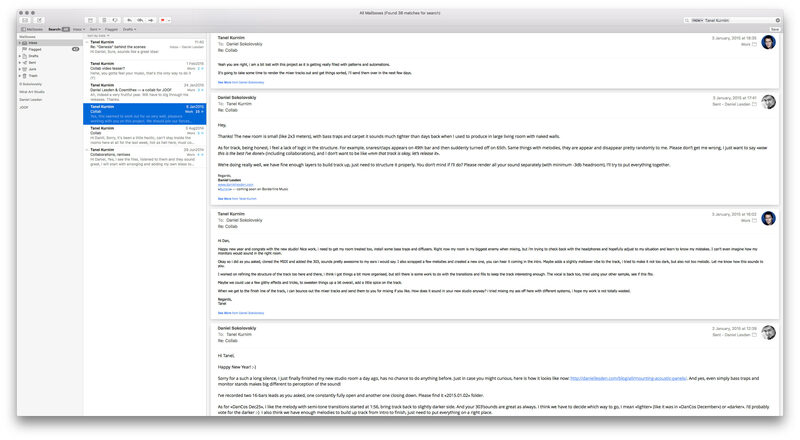 It was also quite nice to hear hints of the final product in that rough first draft.